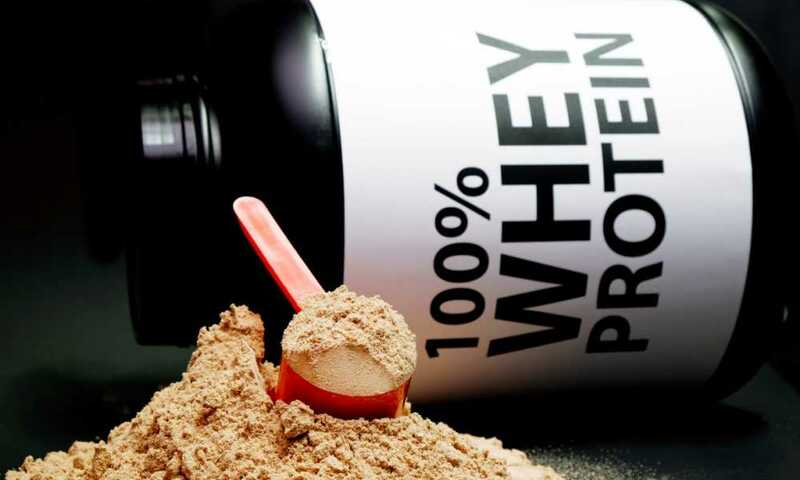 Whey protein is an incredibly useful supplement that can play an important part in maintaining a balanced diet. That is particularly true for people who do sports, lift weights, or otherwise live an active lifestyle. As with any food supplement, there can be a little confusion about how to best consume them. 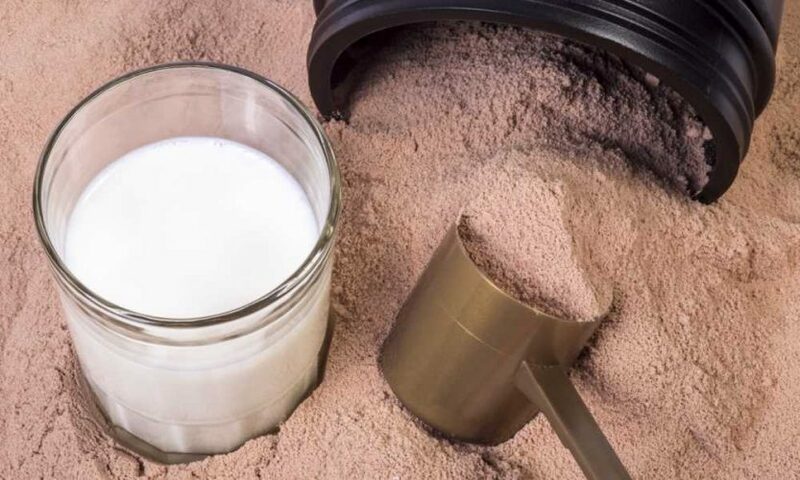 One of the questions we get asked most often is, "Can you mix whey protein with milk?" The simple answer to that is "Yes, you can." The longer answer though is that cow's milk is merely one of a number of liquids that you can mix with whey protein powder. 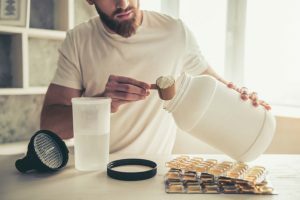 Thus, we’ll look at some of the pros and cons of some of the most popular liquids used for diluting whey protein powder. It only seems right to start with the liquid that actually led to this piece being written. Milk is a pretty popular liquid to be used to mix with whey protein for a couple of reasons. One, it makes the resulting protein shake nice, thick, and creamy, something which many people enjoy. 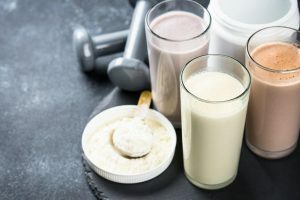 The other benefit is that it increases the nutritional profile of the protein shake a little bit by delivering a hit of proteins of its own along with a useful dose of calcium. On the downside, it also brings big doses of added fat, mostly the saturated type. That will change if the milk is skimmed or not, but skimmed, zero fat milk also loses that ability to make a creamy shake. There is also the percentage of the population that is lactose intolerant. There are, of course, a number of alternatives for people who are lactose intolerant, and soy milk is one of the most popular. On the surface, it does seem a good idea since it is often kinder to the stomach than regular cow's milk. Look a little closer though and there a few issues with soy milk. For one thing, it often has more calories than cow's milk because many manufacturers add sugar to their milk products. Then there will be others that add artificial sweeteners. That’s not the best selection to choose from, right? Almond milk could be a more attractive option if you want an artificial milk to mix with your whey. For one thing, it is very low in calories, with some brands having as little as 30 calories a cup. It also does a better job of adding a creamy texture to the protein shake once mixed; it’s not as good at making a creamy shake as regular milk, but it’s not bad. The downsides are that from a nutritional point of view, it’s pretty useless, having, for example, virtually no protein of its own to bring to the party. That’s because there are only about 60 almonds in a gallon of almond milk. You’re basically paying a premium for white colored water with a very mild nutty taste. 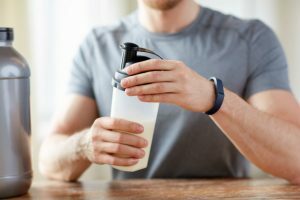 Water is probably one of the most popular liquid mixers for whey because it does nothing. Nonetheless, that is more of an advantage than it may seem. All water does is lubricate the product to take it from a dry powder to a drinkable shake, and that’s it. It doesn’t add any calories, which is a good thing, and you can filter it beforehand to remove impurities. It is the most straightforward liquid to use, and it won’t affect the nutritional profile of your protein shake. On the other hand, it is not bringing any advantages when it comes to nutritional profile. Water doesn’t contain any fiber, protein, calcium or fat. Therefore, if you choose water, you won’t get the little boost of extra nutrition that you can get from other liquids. It also will not add any kind of creamy element to the final shake as you may get with full-fat milk or almond milk. 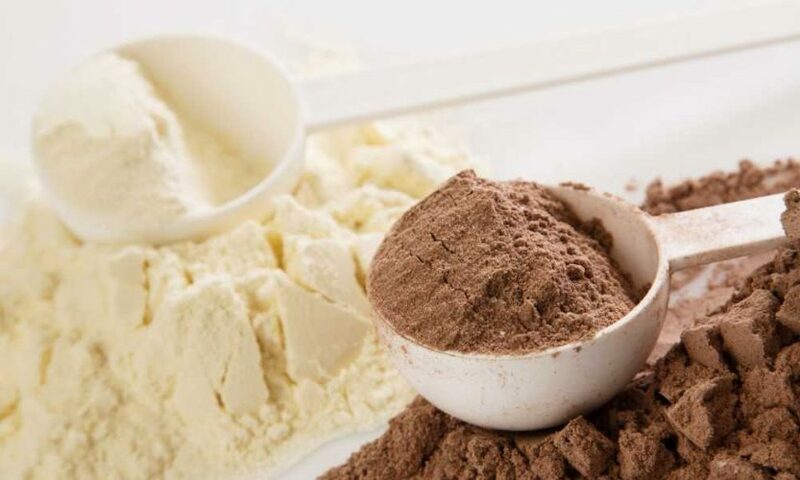 At the end of the day, the most important consideration when choosing a diluent for your whey protein is personal taste. 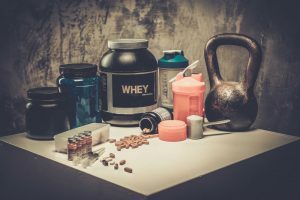 For all the pros and cons of each liquid we discussed above, the key component is still the protein that the whey will deliver. That protein level will not be changed at all by the liquid you choose. In addition, the liquid will usually be in too small amounts to really have an impact, either positive or negative, on your diet. The golden rule then really is to select the liquid that you find most palatable, and which makes your protein shake taste the best to you. 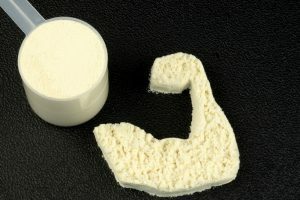 So, ultimately, the answer to the question "Can you mix whey protein with milk?" is a definite "Yes." In fact, you can even choose what type of milk you like to use. 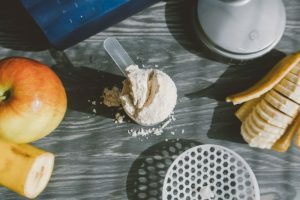 What Do Whey Protein and Plum Puree Have in Common? 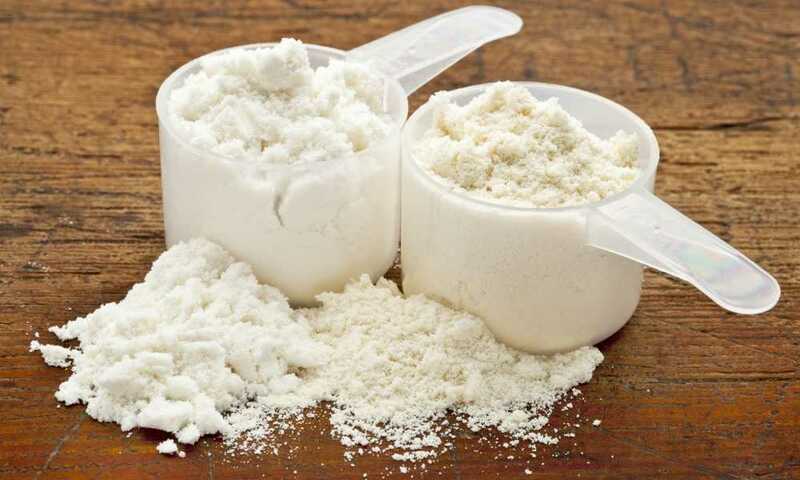 Whey Protein Isolate Vs Concentrate: Which Protein Is for You? 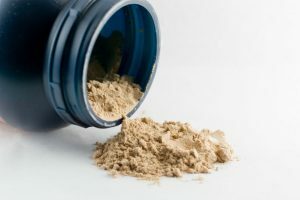 Is Whey Protein Gluten Free? 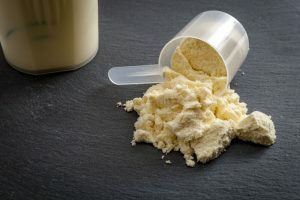 When to Eat Whey Protein for Maximum Impact? Some recommended products may use affiliate links. 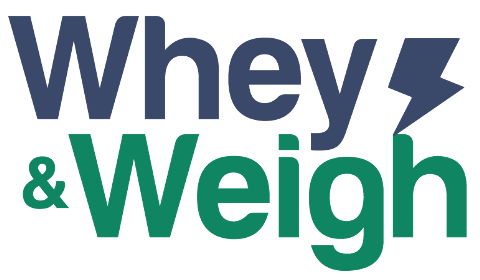 WheyAndWeigh.com is a participant in the Amazon Services LLC Associates Program, an affiliate advertising program designed to provide a means for sites to earn advertising fees by advertising and linking to Amazon.com. Amazon and the Amazon logo are trademarks of Amazon.com, Inc or its affiliates. Copyright © 2018 Whey and Weigh | All Rights Reserved.